It seems that there’s trouble in River City (literally) again. First wind power has been found to have numerous issues such as noise, visual pollution, death to our feathered friends, inconsistent power delivery and very high cost requiring large subsidies from the government. GENEVA — Scientists have found that some reservoirs formed by hydroelectric dams emit more greenhouse gases than expected, potentially upsetting the climate-friendly balance of hydroelectric power. A scientific study of Lake Wohlen in central Switzerland found “unexpectedly high” emissions of methane, a powerful greenhouse gas, the Swiss Federal Institute of Acquatic Science and Technology (EAWAG) said on Monday. The 150,000 tonnes of methane bubbling up from sediment in the retention lake on the river Are over a year are the equivalent of emissions from 2,000 cows, or 25 million kilometres (15.5 million miles) travelled by cars, EAWAG added in a statement. 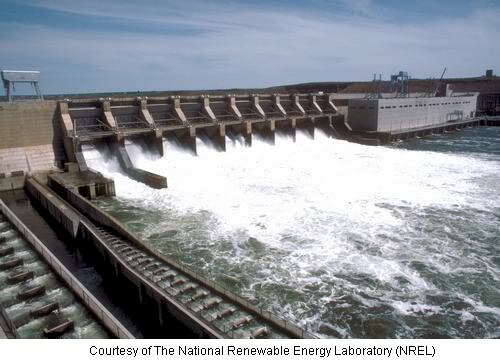 “So hydropower isn’t quite as climate-neutral as people have assumed in the past,” said one of the scientists involved, Tonya Del Sontro. “In the summer, the water in Lake Wohlen sometimes looks like champagne with masses of gas bubbles rising to the surface,” she added. You can read the rest of the article here. This is something we’ll probably be hearing more about in the near future as people pick up on this.